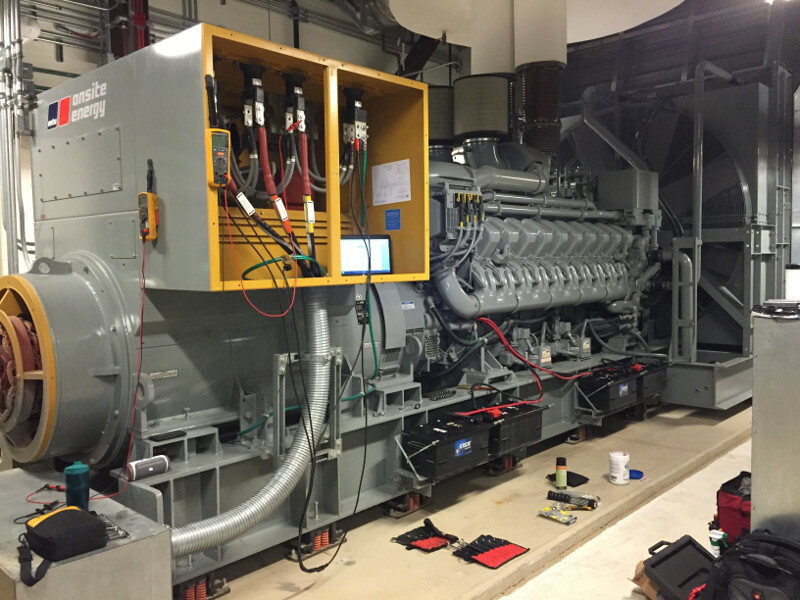 CURTIS ENGINE PROVIDES FACTORY-CERTIFIED TECHNICIANS TO PERFORM STARTUP AND COMMISSIONING OF THE GENERATORS THAT WE SELL. We inspect the equipment to ensure that the installation meets MTU Onsite Energy’s standards for safe and reliable operation. Our technicians train the owner or the owner’s representative on the operation and basic maintenance requirements of the equipment to raise their comfort level with the new generator. We also complete the commissioning paperwork, activate the warranty, and provide the owner’s manual and technical documentation at this time. Curtis Engine is an authorized warranty service center for MTU Onsite Energy, ASCO, Doosan, and John Deere. We manage warranty issues from identification to repair through reimbursement. When the repair is complete, we file and track the claim so you don’t have to. To learn more about the warranties offered by our OEM's, see our Warranty Information page. To request a start-up or for warranty claims, please contact us. Note to Installers: Please complete the Generator Set Request for Start-Up Checklist and return it to your Curtis Engine project representative at least two weeks prior to the requested Start-Up Date. Download the Installation and Commissioning Validation Checklist and the Generator Set Request for Start-Up Checklist forms. Review and complete the Installation and Commissioning Validation Checklist and return it to Curtis Engine. Contact your Curtis Engine project representative. We generally require 10-14 days of advance notice to schedule start-ups. We will do our best to meet your requirements, but we cannot guarantee any dates without advance notice. Call or e-mail your Curtis Engine project representative to discuss lead time. Start-up is a scheduled service call (typically one visit) for the period of time agreed to in the project proposal and quote. If an improper or incomplete installation requires the technician to wait longer than 30 minutes to begin work or to schedule another visit beyond what was agreed to, the additional time and visit may be invoiced. The Curtis Engine start-up technician will inspect the equipment for proper installation, top off fluids, make the final connections, and test run the generator. Training will be conducted at start-up. Persons who require training must be present at start-up and return visits to complete training due to their unavailability may be subject to a separate charge. It is recommended that the commissioning of equipment not provided by Curtis Engine but required to test the complete system be scheduled at the same time as the generator startup. Final testing and training with actual loads will be performed as agreed upon. The manufacturer's warranty period begins upon completion of the initial start-up. See the Warranty Information for our manufacturer's on our website.